Get ready. Wait for it. Wait for it. I stretched her hard enough that I had to use a couple of paperweights to keep the blocking boards from buckling, and she’s about 53 inches square. When I unpin her and she relaxes a little, she’ll probably lose an inch or two, but, still, she’s a nice size for a square shawl. Here’s a closer look at the center. 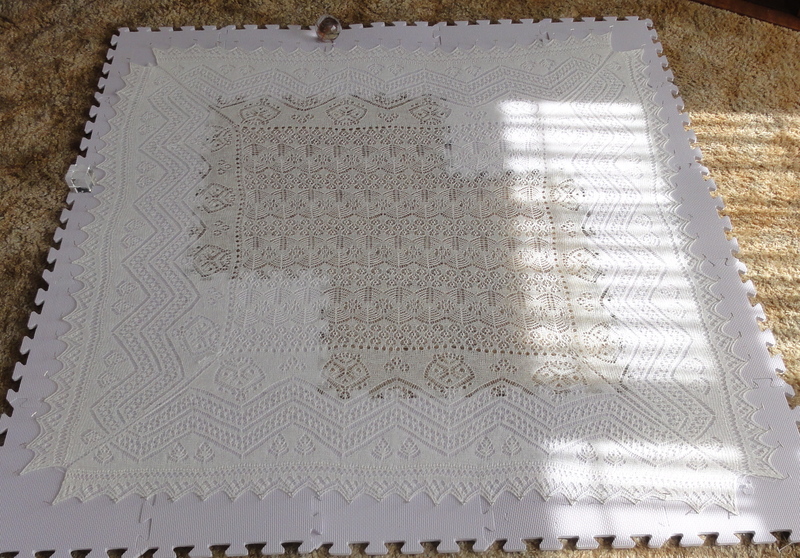 The difference in the color is due to some of the shawl being over the carpet while the rest is over the blocking boards. She no longer looks like something my cat horked up. Here’s a close up of one of the corners. I’m very pleased with how my corner attachment technique turned out. Oh, and here’s a picture of my newest project, a Clapotis scarf knitting in my very own handspun, Cool Madras BFL from Corgi Hill Farm. This entry was posted in Knitting, Lace Shawls, Spinning and tagged Clapotis scarf, Corgi Hill Farm, handspun yarn, Hazel Carter, The Spider Queen Shawl. Bookmark the permalink. It’s a pretty spectacular design, eh? I love Hazel Carter’s patterns. Your shawl is amazingly beautiful. I wish I could make something as gorgeous as this! I’ve been following your blog for about nine months and this is the greatest project! It is spectacular and congratulations on a job well done! The shawl is absolutely beautiful. A work of art. Woah! What an impressive shawl. I’m not sure I could stick around on a project long enough to make something that big. Great job. Thanks. It does take some stick-to-itiveness. 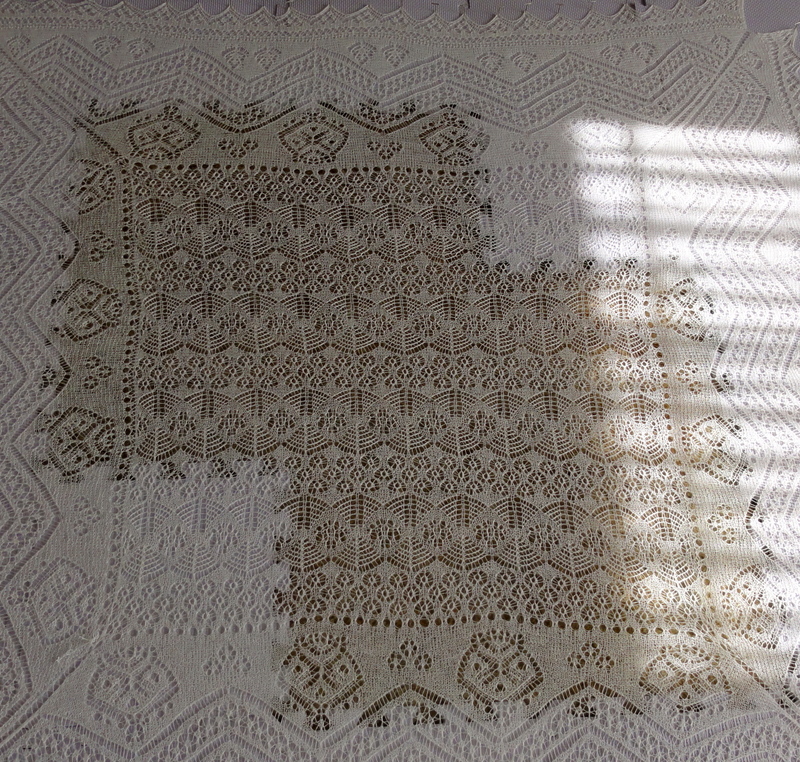 The construction helps to keep it from getting really boring because each border is knitted separately along with the knitted-on edging, so just when you start to get really tired of the border, you start the edging. And when you are getting sick of the edging, it’s time to start a new border. I love knitting lace. Makes sense. 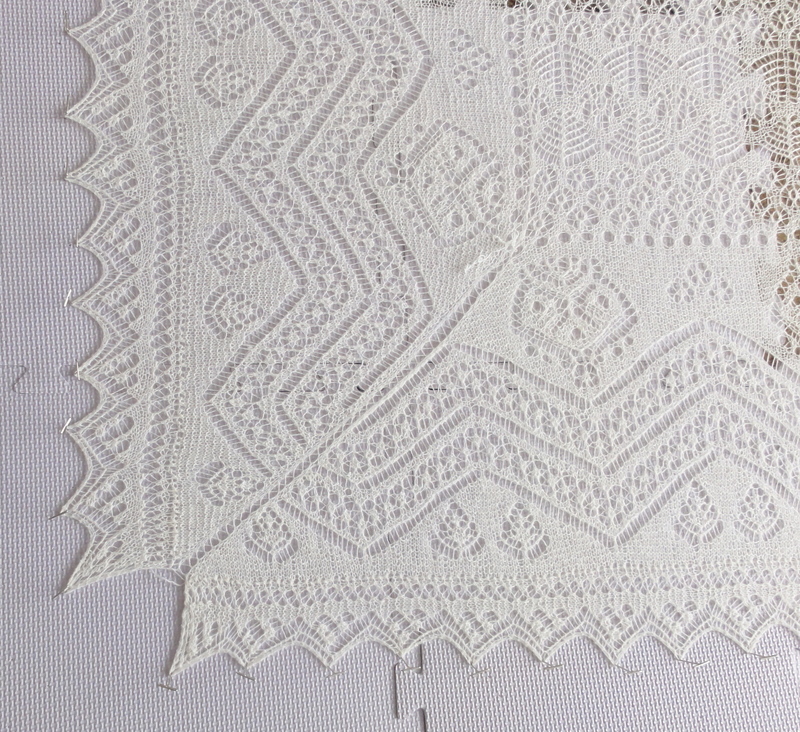 I’m a novice lace knitter, but maybe one day..
Lovely! And so smart to leave open squares. The Queen is spectacularly lovely indeed! 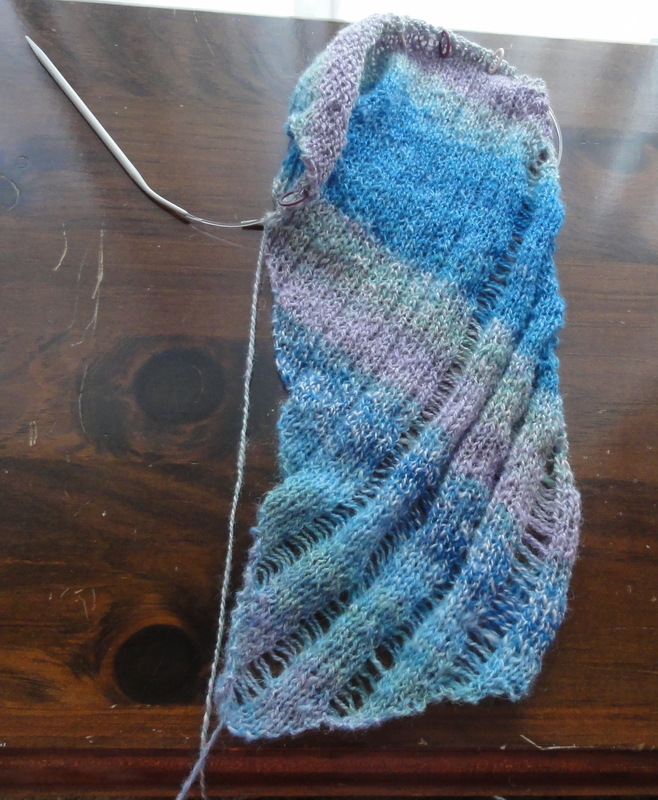 But I am so in love with your handspun knitting project and the fact that you can barely believe you made it yourself. Congratulations!!! Thank you. I’m really happy I started reading your blog because without your inspiration, I probably would never have given in to my desire to learn to spin.